Commercial and Industrial Air Conditioning, Heating, Cooling and Gas Boiler Services in Derby and Derbyshire. Call 01332 851300 for a free quote. Tidyco Climate Control supplies industrial and commercial air conditioning, heating, gas boiler and cooling services in Derby and Derbyshire as well as throughout the UK. Tel: 01332 851300. Tidyco Climate Control supplies industrial and commercial air conditioning services in Derby and Derbyshire as well as throughout the UK. Tel: 01332 851300. Tidyco Climate Control supplies industrial and commercial heating services in Derby and Derbyshire as well as throughout the UK. Tel: 01332 851300. Tidyco Climate Control supplies industrial and commercial gas boiler services in Derby and Derbyshire as well as throughout the UK. Tel: 01332 851300. Tidyco Climate Control supplies industrial and commercial air conditioning, heating, gas boiler and cooling services in Derby, Derbyshire as well as throughout the UK. Tel: 01332 851300 for a FREE quote. Tidyco Climate Control customers benefit from a Cyber Essentials secured cloud based management portal. Watch the video! 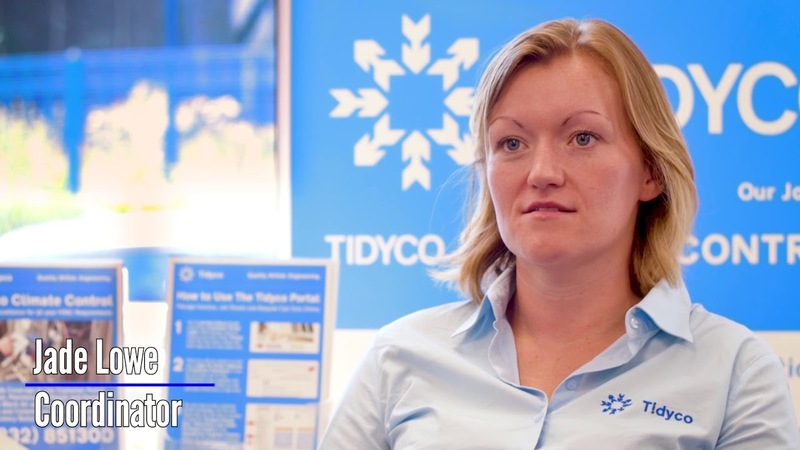 Find out what has been going on at Tidyco! Signup to receive all the latest news from Tidyco.